Parul Joshi from Beauty Spot Watford at Bushey Arches is the energy and passion behind a new initiative called Food4Life. Parul has always been community focused and has been wanting to give back to the community for many years, Food4Life is about to make this a reality. 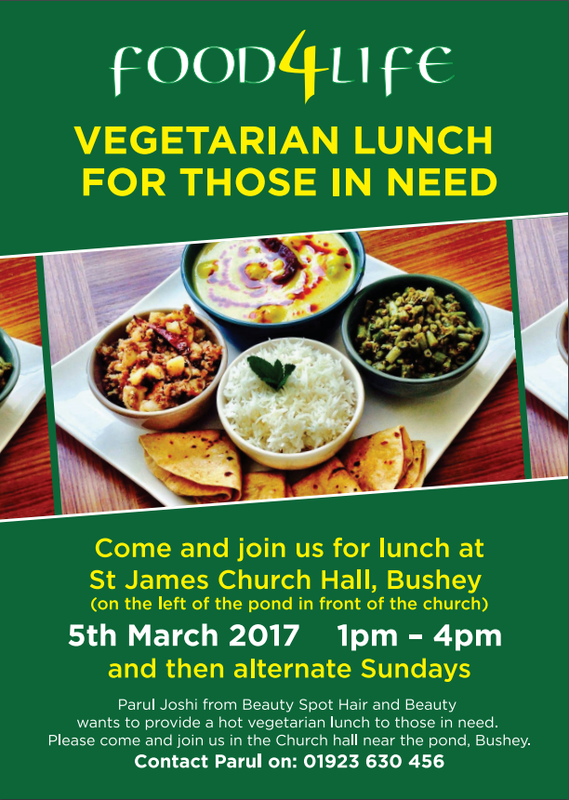 Twice monthly on alternate Sundays Parul will be cooking vegetarian food which will be free for those that are in need. Those wishing to make a contribution can do so in a variety of ways, either with monetary or food donations, helping out on the day or with marketing, community support to help ensure that the message reaches those who could benefit. There will be a mini website coming shortly and as soon as that is available it will be featured on here and also on the SW Herts Community Projects web site which can be found here.